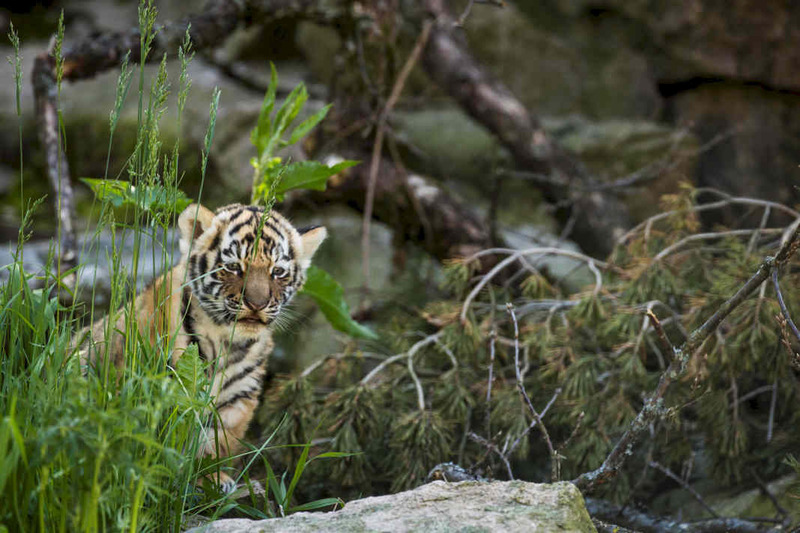 Swedish zoos actively participate in international breeding and conservation programmes. In addition, most of the zoos give unique insights into the native fauna of this vast Nordic country. Here comes an overview over seven Swedish zoos from Skåne in the South to Lapland in the North. Follow the links for ticket prices, opening hours and directions. The southernmost Swedish zoo can be found in Höör, Skåne. 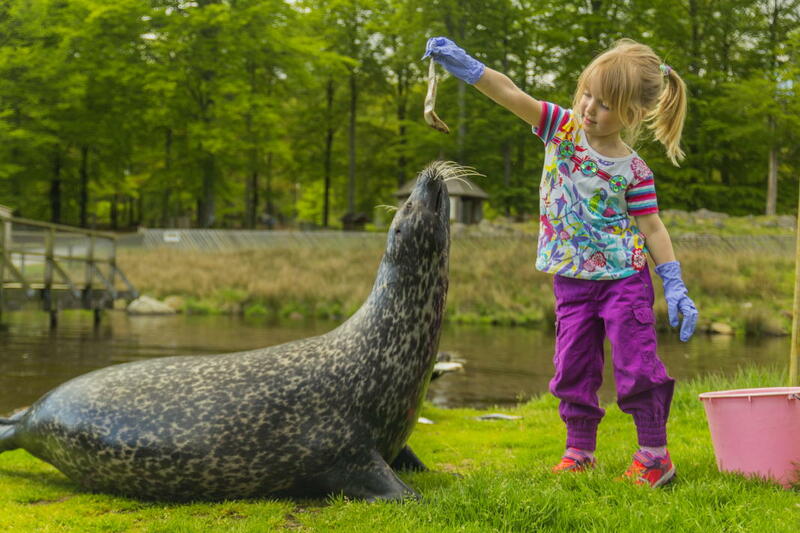 In Skånes Djurpark visitors are introduced to hundreds of wild and tame Nordic animals in their natural environments. There are about 85 species. In the park you can even have a picnic or enjoy barbecuing. Exhibitions, events, a water slide and pony rides ensure that children of all ages have fun. The zoo is open from mid-March to early November. Borås Zoo is located about 50 km east of Gothenburg. With about 65 species it is one of the largest Swedish zoos. Here you will of course get to see native Nordic wildlife. However, the zoo’s major attraction is the African Savannah. It became a trend-setter for modern zoos around the world as different species live together in the same enclosure. The zoo also has a very popular monkey house and monkey island. 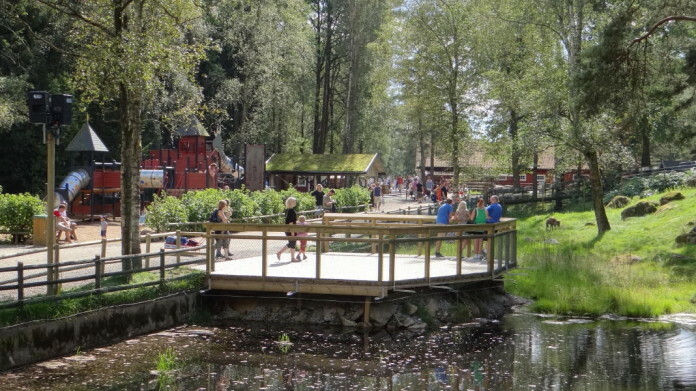 We like this zoo very much because it is beautifully laid out in the shifting terrain in the middle of Borås. This is the zoo that our kids love most in Sweden. The zoo is open from mid-February to early November. Nordens Ark is a foundation that works to ensure endangered animals have a future. In Sweden, Nordens Ark has national responsibility for breeding and releasing certain species. Since the turn of the millennium about 300 mammals and birds born at Nordens Ark have been released into nature, among them otters in Holland, European wildcats in Germany and lynxes in Poland. Nordens Ark Zoo is situated on Åby manor in Bohuslän, about 120 km north of Gothenburg. The zoo is divided into three sections – the wildlife park, the Farm, and the Ecopark. It’s free to go into the Ecopark, but you need to buy a ticket for the others. In the wildlife park you’ll find Amur tigers, snow leopards, Pallas cats, wolverines, lynxes, wolves and reindeer. A 3 km walking route winds through the wildlife park. A pedestrian tunnel links the wildlife park to the Farm. At the Farm, you’ll find Nordic native breeds. There’s also a chance to get nearer to the animals, and even pet them in high season. The enclosures are designed in the best interests of the animals. To get the most out of your visit, it is recommend you bring binoculars – and a lot of patience. The animals are there, but often they are well camouflaged and hard to spot. The zoo is open all year round – in fact every day of the year from 10:00, even on Christmas Eve. That’s great and easy to remember, isn’t it? Kolmården is the largest wildlife park in Scandinavia. It is located near Norrköping, about 140 km south of Stockholm. 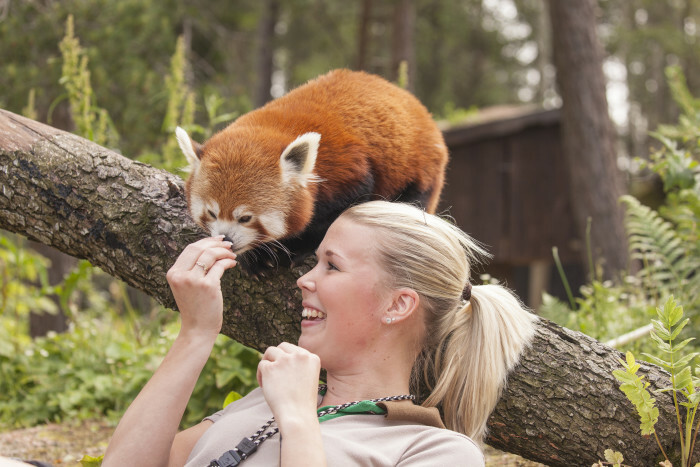 Kolmården Wildlife Park is divided into different zones: the Marine World with popular dolphin shows and the roller coaster Dolphin Express, the Tiger World, and the Safari zone where you can take a very cool ride in a gondola. The gondola lets you experience wild animals at close quarters in a way that’s not possible in any other wildlife park on earth. Here you glide above the landscape, while bears, moose, giraffes and lions roam below you. The park is open from late April to early October (plus some days in early November for Halloween). Parken Zoo is both a zoo and an amusement park. It is located in Eskilstuna, 110 km west of Stockholm. The zoo has about 100 species, including monkeys, lions, jaguars and Sumatra tigers. The zoo is open from early May to late August, plus a few days in September, October and early November. Orsa Predator Park has an area of ​​no less than 325,000 square metres and is located in Grönklitt in Dalarna, central Sweden. Orsa is Europe’s biggest bear park. In addition to brown bears, polar bears and giant Kamchatka bears there are powerful Siberian tigers, Persian leopards and snow leopards. But you can also see wolverines, wolves and lynxes. From walkways and ramps you have beautiful views of the park. 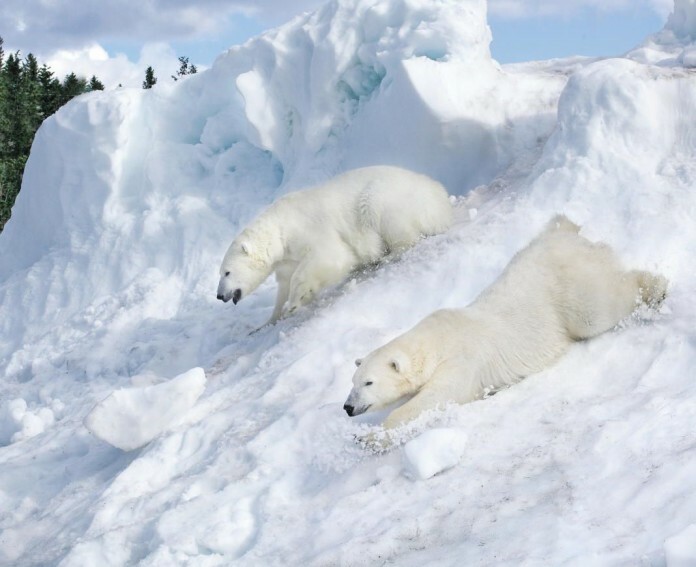 The main attractions are the Polar World (the largest polar bears environment in the world), the Leopard Center, and the Tiger World. There is also a playground for children. Don’t miss the spectacular view from the impressive summit restaurant. The zoo is open daily all year round, with varying opening hours. Lycksele Djurpark in Lapland is Sweden’s northernmost zoo. Here you can get to know the four large predators bear, wolf, lynx, and wolverine. The enclosures are designed so that the animals can live as well as possible in their natural environments. The zoo is open from early March to December 23.